Either if you didn’t bother to update your drivers when first available or you just installed a new operating system, finding the right drivers is a nuisance and a time wasting operation. 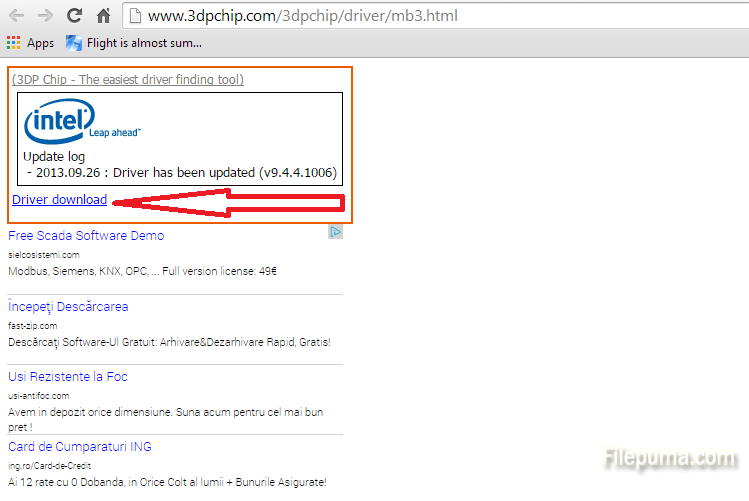 However, with a free and small piece of software called 3DP Chip you can do this in no time. 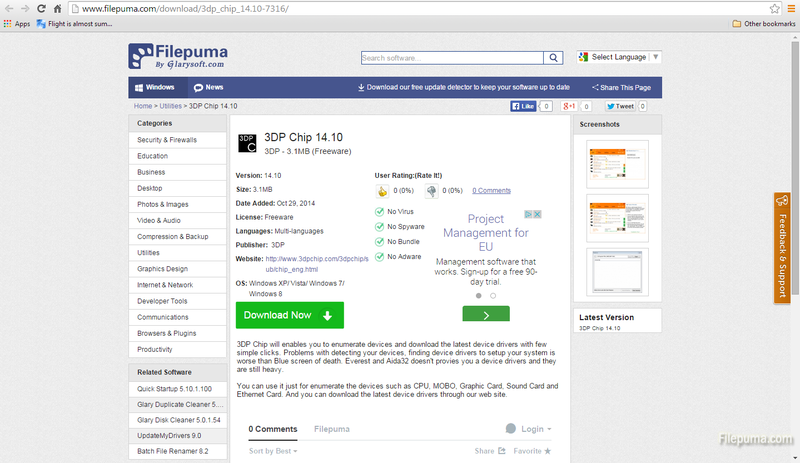 Step 1: Download the free software from Filepuma.com by clicking on the green “Download Now” button. Install the software but don’t just click blindly on the “Next”, “Yes” and “Accept”. At one point you will be asked if you want to install another product too so. Being careful will get you off the hook. After installation, the program will run automatically. Step 2: On the left side you will see the main hardware components: CPU, Motherboard, Video card, multimedia and Ethernet cards. The software will automatically collect the right data from your computer. 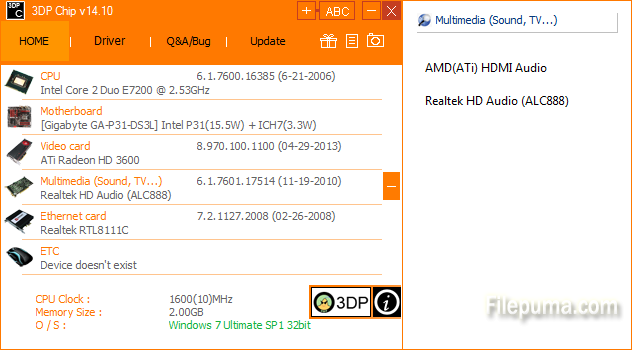 Step 3: The only thing you need to do is just click on the one component you want to update the driver for, in our case, the motherboard. A new window will open on your browser indicating the link to your download.